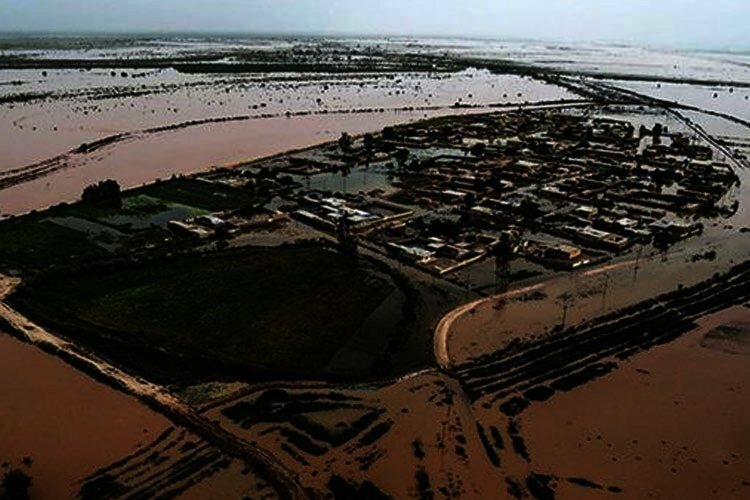 The head of the Cyber Police in Khuzestan said that 24 internet activists were identified and detained for reporting on the ongoing floods in the southwestern province. The report published by the state-run ISNA news agency said that the detainees had “disturbed public opinion by spreading news and rumors on the floods”. Remember Marzieh Hashemi, the anchor of Iranian state TV temporary arrested by U.S. authorities? Local reports and videos on social media indicate that the regime has dispatched various units to quell protests in Khuzestan, after street protests broke out yesterday in the Eyn-e Do and Shelang Abad regions in Ahvaz. Protesting not receiving any state support & the #IRGC directing floodwaters into residential areas. Members of Iraq's #IRGC-linked Hashd al-Shaabi (Popular Mobilization Force) entering the city under the pretext of "providing aid for flooded areas." Under the pretext of helping flooded areas, authorities dispatch units of the #IRGC-linked Fatemiyoun Division, composed of Afghan nationals, to quell possible protests. Other videos showed tanks parading on the streets in Khuzestan. Flood victims are furious and believe that the regime only cares about its security and not flood relief. Villages are surrounded by floodwaters, people voluntarily providing aid to the flood stricken area.